The Great American Beer Festival is almost here! Whether you’re a Colorado native or you just moved to our beautiful state, it’s no secret that we’re a state that loves to drink beer. Not only is Colorado home to major breweries, like Coors and Budweiser, we also have the highest draft production per capita of any state. There’s no doubt about it, Coloradans love beer in every style, color and abv, and that’s probably why we’re home to the Great American Beer Festival (GABF) every year. In 1982, the GABF started as a part of the fourth annual conference of the American Homebrewers Association. From humble beginnings, the GABF grew to be the country’s biggest ticketed beer festival. Only 24 breweries participated in the first GABF, but last year (2016), there were 780 participating breweries. In 1982, they could get away with a 5,000 square foot space, because GABF only had 800 attendees, but with the 60,000 people who attended last year’s festival, it requires a 380,000 square foot space. Celebrate the Great American Beer Festival with Black Bottle Brewery. 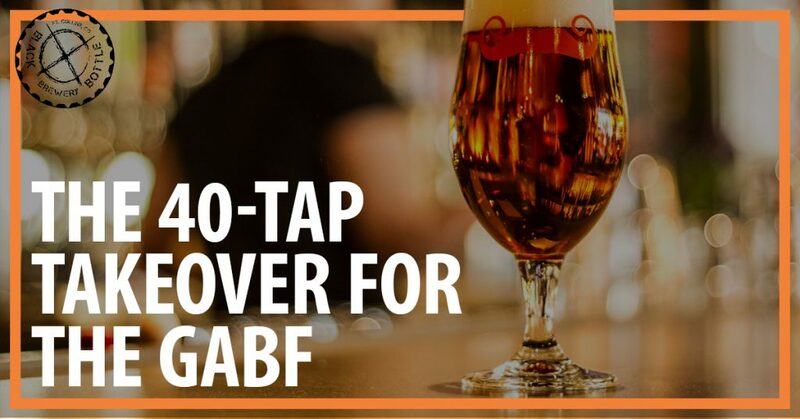 The GABF is right around the corner, and if you haven’t bought tickets yet, we’re sad to say that you’re likely out of luck. This year’s tickets have sold out, but that doesn’t mean that you can’t be a part of the festivities. Here at Black Bottle Brewery, we love the GABF just as much as you do, and we’ve set out to celebrate, like only Black Bottle can. To celebrate this year’s GABF, we are taking over all 40 taps in our brewery with our past GABF winners and entries, as well as all of your other Black Bottle Favorites. Stop in for a pint or a growler, if available for fill, of your favorite Great American Beer Festival brews from Black Bottle. Lichtenhainer – Smoke Kettle Sour – Our 2017 Pro-Am entry is a sour smoked ale based on a rare German style. The sour and the smoke are both be prominent, but not overpowering, and linger into a long dry finish. Tripel – Belgian Tripel – Our 2016 silver medal winner is a must try for anyone who digs strong pale ales. Like all classic tripels, ours is a bright, cheery gold and has a delectable flavor with the perfect blend of spice and fruit. American Graffiti – Sick of all of the basic beers out there? Deftly combining sour, sweet and bitter, we’ve developed a brew that is complex and will leave you wanting more. The Last Unicorn – This tart cherry raspberry lambic is a must-try for anyone who loves fruity sours. The Last Unicorn is dry, tart, full of flavor and surprisingly refreshing. Friar Chuck – Our 2015 bronze medal winner is a Kolsch. It is a clear gold color with the perfect amount of head. Its aroma is reminiscent of spruce, grass and bread, and it features flavors of biscuits, corn with just a hint of spice and sweetness. Don’t forget to try our other outstanding beers! 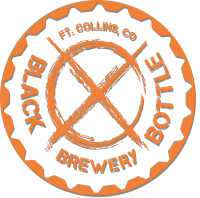 In addition to our delectable GABF beers, we are also filling our taps with all of your Black Bottle favorites. So, whether you can’t get enough of our staples, like There Goes the Neighborhood or Scuba Steve, or you have been dying to try one of our collaboration beers, like Music City Cold Beer or Rescue Me, there’s no better time to come into Black Bottle for an ice-cold brewski. Don’t wait, our 40-tap takeover will only go on for the week of the GABF, so be sure to stop by the week of October 5th!